The Great Inland Way starts in Sydney and takes in much of central New South Wales before reaching the Queensland border at Hebel. The Queensland leg of the Great Inland Way road trip extends 1863 kilometres from Outback Queensland to the Coral Sea. This six day adventure passes through Dirranbandi and St George. Detour to Queensland's oldest hotel at the Nindigully Pub and try the 1.2 kilogram 'Road Train' hamburger - if you dare! Continue along well signed and flat sealed roads to Surat, Roma and Injune en route to the sandstone escarpments of Carnarvon National Park. Stop off at the gateway to the sapphire gemfields in Emerald with a fossicking permit, and then detour to Capella, Clermont, Charters Towers and Undara. Grab a bite to eat at the highest pub in Queensland in Ravenshoe, and indulge on fresh produce in the 'food bowl of the tropics' on the Atherton Tablelands. Here, sip freshly roasted coffee from local plantations and gorge on tropical fruits and gourmet cheeses of every variety. Complete the Great Inland Way with a scenic cable car tour to Kuranda, before descending into the launching pad of Cairns, to explore above and below the fringing Coral Sea. After leaving Sydney, Australia’s premier harbour city, the Great Inland Way winds through Bathurst and past some of New South Wales’ award winning wineries in the Mudgee and Orange regions. Near Orange, you’ll pass through Cabonne Country which offers a diverse range of wonderful attractions, some of the best food and wine in regional Australia, a rich history and heritage. Try panning for Gold at the Ophir Reserve, site of Australia’s first gold strike or take an early hot air balloon ride outside Canowindra which uses the 360 million old fish fossils found nearby. 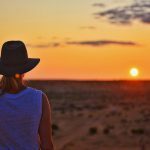 Plan a stopover at Dubbo: Situated in the centre of New South Wales, Dubbo has one of the world’s greatest open range zoos. Western Plains Zoo is home to over 1,000 animals of 100 species. See also the Old Dubbo Gaol, a pioneer-era homestead, observatory, riverboat cruises, military museum and boomerang making. Gilgandra is the southern gateway to the spectacular Warrumbungle Mountains. At the Gilgandra Coo-ee Heritage Centre you can learn about the great Coo-ee Recruitment March. Gulargambone: Approach Gulargambone from any direction and you will be greeted by giant corrugated iron Galahs! Take a break at the award winning visitor centre and tourist attraction, two eight two eight. The Castlereagh is a unique upside-down river, its waters run under the sand. If you can see water, then the river is actually in flood. Coonamble: Explore the Museum Under the Bridge, Outback Arts Gallery and the Nickname Hall of Fame. Nearby are the natural wonders of the Warrumbungle National Park, the Macquarie Marshes, and the Pilliga Forest. Coonamble plays host to the biggest combined Rodeo and Campdraft in the Southern Hemisphere every June long weekend. Four rivers running close to Walgett ensure some of the best Murray Cod and Silver Perch freshwater fishing in New South Wales. The northern sections of the Macquarie Marshes and the Narran Lakes are accessed from Walgett. Enjoy the hot artesian bore baths, museum and walkway. Frederick Wolseley invented the world’s first successful sheep-shearing machine on his Walgett property in 1885. Internationally renowned for producing Australia’s national gemstone, the opal, the area surrounding ‘The Ridge’ has produced some of the world’s finest black opals. Experience the thrill of mining opals or try fossicking, then watch the experts cut and polish the precious stones. Explore on an underground opal mine tour and afterwards, relax in the natural bore baths. There is a cactus garden, keeping place, art galleries, craft centres, jewellers, self-guided and conducted tours, events such as the Easter Goat Races and many interesting examples of architecture unique to The Ridge. The Grawin opal fields are 70 kilometres west of the Ridge. Hebel, on the border of New South Wales and Queensland, has been doing border duty for a long, long time and this quaint village epitomises outback Queensland. The Hebel Hotel should not be missed. Pull up to the hitching rail out front and take a tour of the unique artworks adorning this outback pub. Let your taste buds be tantalised with a visit to the Crafty Yum Yum Cottage. They also sell handicrafts, souvenirs, artworks and other pieces created by local people. Culgoa Flood Plain National Park, west of Hebel, with no facilities, it offers nature lovers a rare and undisturbed interpretation of an important Queensland wetland. Once you bid Hebel farewell, travel 65 kilometres to Dirranbandi, a town built on the growth of cotton with reputedly, the largest privately operated irrigated cotton farm in the world, Cubbie Station, nearby. St George, the fishing capital of inland Queensland, 97 kilometres on is the next stop, but don’t forget Nindigully on the way. The Nindigully Pub is legendary throughout the Western Downs (but a big hint – don’t leave your mobile phone on the bar, ’cause if it rings, it’s your shout!) You can also camp for free along the river. St George on the banks of the Balonne River is held in high esteem within fishing circles. This is a river where big fishing tales are true with catches of Murray Cod and Yellow Belly. While in town visit Steve Margaritis and be amazed at his talent for carving emu eggs. Or indulge yourself at Riversands Winery and Cafe, the most western winery in Queensland, see a working rock melon farm, take a town tour and explore the murals, St George Heritage Centre and picnic on the grassed river banks near the centre of town. From St George, the Great Inland Way almost follows the Balonne River to Surat, 108 kilometres north. Don’t miss seeing the 25,000 litre freshwater aquarium at the Cobb & Co Changing Station. The complex includes an immaculate museum with plenty to admire including a replica 14 seater passenger Cobb & Co coach, art gallery and tourist information centre. While in town check out the Aboriginal Bush Garden, the Cobb & Co Corduroys and pretty Beranga Creek 3.5 kilometres north of Surat where in late summer pretty purple lilies bloom. There’s superb fishing along the Balonne. Roma, 78 kilometres further on is the next stop. Roma deserves an overnight stop to take in all it has to offer. Start at the Big Rig, which combines the Tourist Information Centre, display on oil and gas exploration, historical buildings and gardens for picnics. Romavilla Winery, Queensland’s first wine making enterprise, is just past the main street and still producing a fine drop. For an up and close rural experience, call into the Roma Saleyards – the largest store cattle selling facility in Australia. Every Tuesday and Thursday witness the sites and sounds of live cattle auctioning from the purpose built catwalks and then try a steak sandwich from the canteen. Call in and see the heritage listed Mt Abundance Homestead, the amazing Ace Drapers No. 2 store, take the Hospital Hill Walk, and the court house where Captain Starlight was finally sent to trial in 1872. There are two alternative routes from Injune. The first takes you straight up the highway, the other does a loop through sand hills covered in grass trees, past giant bottle trees – it is recommended for 4WD only – just follow the Tourist Drive Signs starting 16 kilometres north of Roma. Then into Injune – the gateway to the Carnarvon. Want to hear a yarn? Then don’t miss a session at Injune Hotel where locals are always ready for a chat. Injune’s a great base to explore the natural wonders of the area. Take a self-drive tour of historical old buildings or adventure into Lonesome and Beilba National Parks. Discover European and Aboriginal history of once great cattle properties and see spectacular scenery of Arcadia Valley. 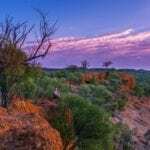 Carnarvon National Park, renown as one of Australia’s most spectacular wilderness areas and important Aboriginal cultural sites, north-west of Injune, covers a vast 298,000 hectares, and is broken up into numerous sections. The Carnarvon Gorge is just one of these. The Mt Moffatt section is one of Australia’s first verified Pleistocene sites and has interesting Aboriginal art and the Kenniff Cave, a hideout for the infamous bushranger brothers. From Rolleston, north of Injune, access the Ka Ka Mundi, Salvator Rosa and Carnarvon Gorge sections of Carnarvon National Park. Then onto Springsure, another access point to the Carnarvons. While in town check out the Federation Arcturus Woolshed and the National Trust listed Old Rainworth Fort 10 kilometres from town. Emerald is just 66 kilometres down the road. Emerald – the heart of the Central Highlands and Sapphire Gem fields doesn’t get its name from the green gem, rather the green fields around the area when it initially was named. Emerald is sunflower territory and for proof have a look at the world’s largest painting on an easel – its Van Goughs sunflowers standing 23 metres high! Visit the National Trust listed Railway Station, the 250 year old fossilised tree, the Emerald Botanic Gardens, School of Distance Education and the native flower farm. Lake Maraboon and Fairbairn Dam are popular for fishing, redclawing and water sports. The gem fields serviced by the towns of Rubyvale and Sapphire are a great outing. Armed with fossickers licence try your luck. 54 kilometres north is the village of Capella. You’ll notice the pole murals along Peak Downs Street. Take special notice of the one outside the pub – it commemorates the fact that placing emu plumes in the hats of the Australian Light Horse Brigade began right here during the Great Shearers Strike of the 1891. The pioneer village includes the Peak Downs Homestead, the Gordon Downs woolshed and store, and an extensive collection of vintage agricultural machinery. Clermont, a rich agricultural community where visitors must be warned – many get an attack of gold fever and some never leave! The town was originally by Hoods Lagoon, but moved after the 1916 devastating floods in which 65 people died. Hoods Lagoon is now parkland and a great place to stop and relax or get the metal detector out and start looking for gold nugget. A replica piano sits in a tree nearby marking the height of the floodwaters. 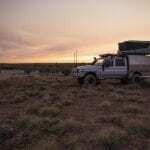 Gold fossickers should call into the Clermont Detectors at the Caravan Park for a fossickers licence, map of areas available, gear if needed or book a guided tour to sites with renowned deposits. The world’s largest seam of steaming coal is located at Blair Athol, 23km from Clermont. Tours of the mine are conducted with bookings through the Information Centre essential. At Belyando Crossing there is a caravan park on the seasonal creek and fuel available. From here, its 203km to historical Charters Towers. 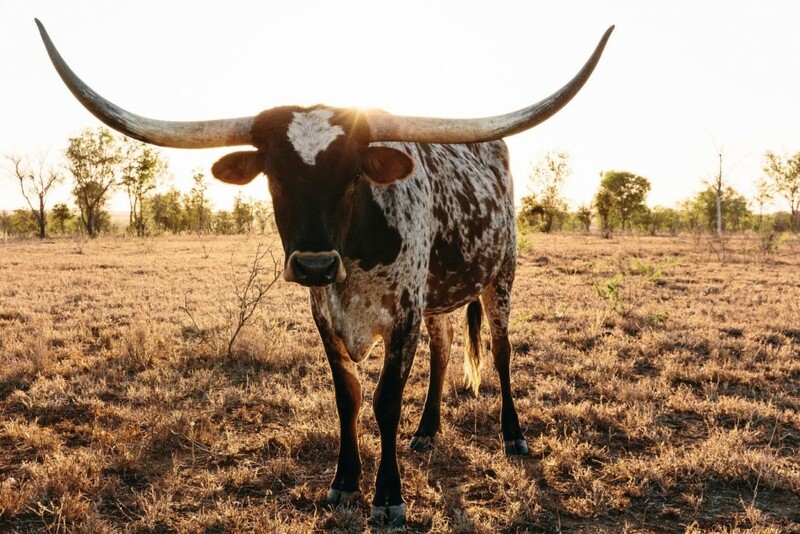 Charters Towers was founded on the discovery of gold and flourished to become the second largest city in Queensland with a population of over 35,000 during the height of mining. Today the city is much smaller in population but the magnificent buildings around the town reflect the richness of a bygone era. Self-guided or guided tours of the buildings around town are a must. Try The Ghosts of Gold Experience for a full virtual tour of the key attractions including the Stock Exchange, Towers Hill and Venus Battery. Explore World War ll bunkers on Towers Hill and a visit to Pioneer’s Cemetery will give an interesting insight into the lives of those in the area from 1872 to 1895. A great day trip is to the Great Wall of Basalt formed by a lava flow thousands of years ago; the township of Ravenswood (the whole town is heritage listed) or fishing on the Burdekin River or at Burdekin Dam. When its time to leave, the road continues through Greenvale, 252 kilometres to The Lynd Junction, then only 91 kilometres to the turn off to Undara Volcanic National Park where you will find the largest lava tube system in the world. Take a big breath when you arrive in Ravenshoe – you are in the highest town in Queensland! On the doorstep of Ravenshoe is a World Heritage listed rainforest to explore. The Information Centre has a great display on the areas timber cutting past and on the nocturnal animals – in this one area 12 species of native possum have been identified. The Tully Falls Road takes you south (about 25 kilometres is unsealed) for a remarkable view over the 293 metre Tully Falls at Tully Gorge. 9km further along is Koombooloomba Dam where camping, skiing and fishing all year round for Barramundi is permitted. Millaa Millaa, east of Ravenshoe has more rainforest walks, waterfalls, lookouts and markets. Centre of the Waterfall Circuit (one drive everyone should do) which includes Mungalli Falls, Millaa Millaa Falls, Zillie Falls and a host of others. Most of the waterfalls are accessible by two-wheel drive and have picnic facilities. The road continues north and there is lots to discover from natures beauty to quaint arts and crafts centres along the route to Atherton. Visit Hypipamee National Park and Crater, journey to Malanda, a rich dairying area and see the ancient Bromfield Swamp. Atherton is centrally located to many attractions across the tablelands and a popular base to explore the beauty of the area. Take in the view from Haloran Hill Lookout. See the restored Chinese Joss House, a unique mineral museum called the Crystal Caves and the 2.6 kilometres Wongable Botanical Walk is a worthwhile stroll. Catch a steam train to the once bustling tin mining community of Herberton – the train often has open carriages just great for the perfect picture of Carrington Waterfalls and views across the tablelands. Lake Tinaroo, just north-east of Atherton, has more than 200 kilometres of shore and is surrounded by 8,000 hectare state forest. Here rainforest meets the shore. Take the forest drive and look for platypus and tree-climbing kangaroos. The Lake is a popular fishing spot. Just north of Atherton, you’ll pass through the ‘Tolga Scrub’. Along the 700 metre rainforest walking track you may see Tree Kangaroos, Red Legged Pademelons, and the nocturnal Coppery Brushtailed Possum (only found on the Tablelands), Green Possums and a colony of Spectacled Flying Foxes. 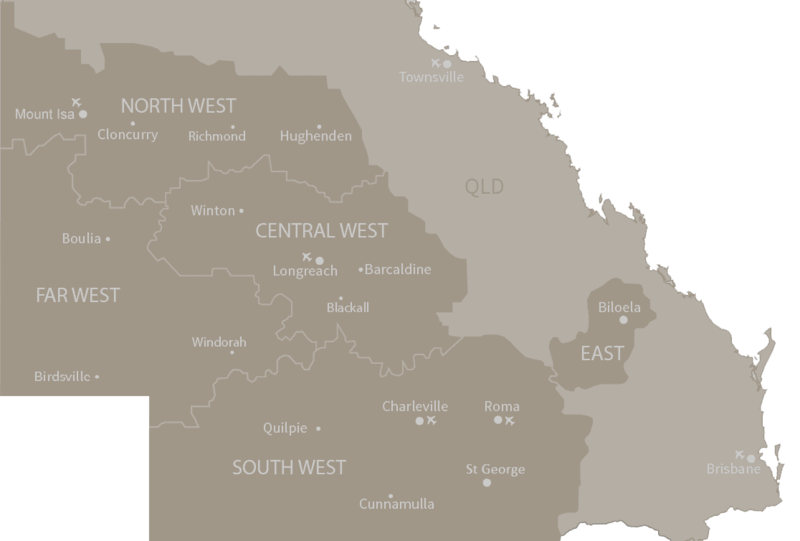 Mareeba, encircled by coffee plantations, the best exotic tropical fruit orchards and lush sugar cane fields is next, 34 kilometres along the plateau. The Mareeba Heritage Museum and Information Centre is a ‘must stop’. Organise a tour of a coffee plantation, scenic hot air balloon ride over the plateau or just sit and relax on the veranda with a superbly brewed coffee. 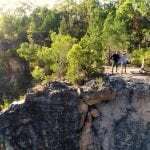 A couple of trips of note from Mareeba are Granite Gorge, seven kilometres south-west and internationally renowned Mungana Limestone caves in the National Park near Chillagoe, 140 kilometres west. Then to Kuranda with colourful markets, butterfly sanctuary, the Barron River Falls, picturesque Davies Creek National Park and the world famous Kuranda Scenic Train, as well as lots more! Cairns, gateway to the Great Barrier Reef, is then only a short drive and the end of our journey along The Great Inland Way. In this modern tropical city, shop-a-holics will be at home among the maze of shops and boutiques. Cairns is a base to explore the Great Barrier Reef – the world’s largest reef system – the heavenly exotic islands off shore and idyllic long white beaches. There is something for everyone with over 600 differing tours departing from the city each and every day! What a place to finish the mighty Great Inland Way – you can’t get any better! Cooktown is worthy of a few days stop-over. Just a short drive from Lakeland, along the Mulligan Highway, is one of the best kept secrets of Cape York Peninsula. Cooktown was established at the very site where in 1770 Lt. James Cook careened his ship the H.M.B ‘Endeavour’ for much needed repairs. A life-size statue of the famous explorer now stands at the very spot where he stepped ashore. Cooktown is a beautiful, unspoilt, small coastal town surrounded by stunning countryside. Less than 3.5 hours drive from Cairns, Cooktown is the perfect location to base yourself as you explore the Cape York Region. Surrounding the township are magnificent waterfalls, deserted beaches, walking trails and tropical rainforest. Little Annan Gorge is a spectacular waterway carved by nature from black granite. The historical James Cook Museum contains some of Lt. James Cook’s personal items, as well as items from the Endeavour. Another historical ‘must-do’ is The History Centre on Charlotte Street which also offers family research facilities. Cooktown is a world-class fishing destination with close proximity to a river and reef as well as land based fishing options. The Grassy Hill Lookout offers breathtaking 360 degree views of Cooktown.